Making money blogging is a dream job. But how the heck are you suppose to get started when you have no idea what you’re doing? Today I am going to walk you through how I make $10k+ per month blogging, but first here is a little about my blogging story. This story starts just after I got married. My husband worked from home doing working with data for the medical field, and ignorantly I thought that meant once we got married we would be able to travel often since he could work from home. I guess I didn’t understand that you couldn’t just take off 4 months vacation a year, at least not at the job I had. So I headed to Pinterest to try and figure out how I could make money from home so we could travel. I saw things about surveys, scanning your grocery receipts, and transcribing audio. So for a month I tried it and after that month I had made $9. Sure, I took my $9 and went to the Starbucks drive-through twice, but it didn’t pay for a vacation by any means. (does this sound familiar?) >> Then I started seeing posts on Pinterest, (much like this very post) about “How I Make $10,000+ per month” so I started reading every one of them I could find. I was getting so inspired to start my own blog. 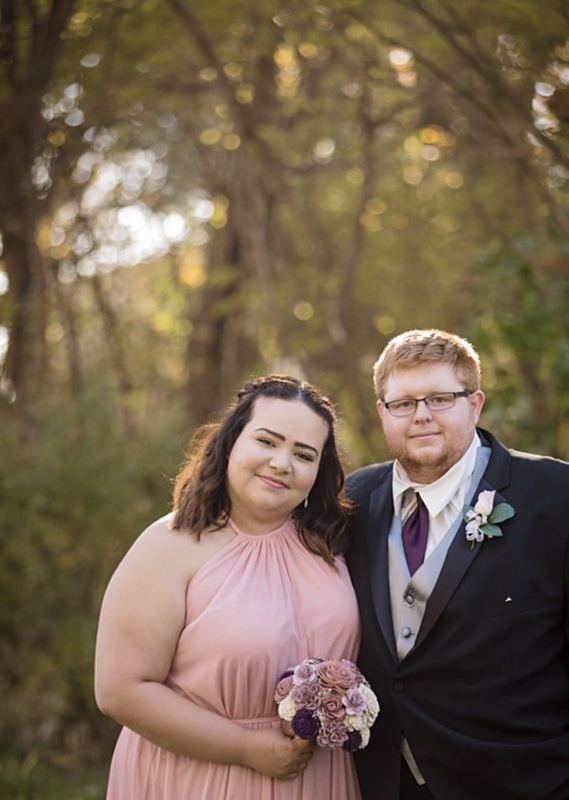 So I talked to my husband and he said If I thought I could make back the $71.40 I had to spend to start my blog then I should just give it a try. So I started my blog in May 2016. To my surprise the next day someone didn’t just hand me $600 for my efforts. In fact I had literally no idea what I was doing. All those blog posts that once inspired me to start my blog actually taught me nothing running a successful blog they would just say things like: “I made $10,000 last month blogging through affiliate marketing, sponsored posts, and ads” The didn’t tell you how to set up your blog, get into affiliate programs, or get sponsorship deals. They were just writing those posts for the clicks. 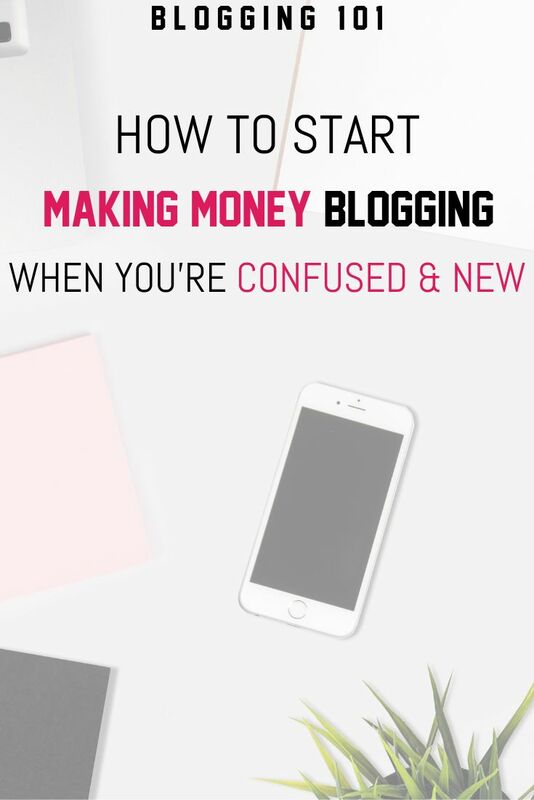 So I promised myself that if I ever actually figured out how to make money blogging I would share it with other people like me who really want to make money blogging. I was super confused for weeks and had no idea how to do anything for my website but then three weeks in after probably 10 hours a day of research and taking notes, I suddenly made $60, then $100, then before I knew it I made $300 my first month blogging. Then 7 months after staring blog blog in February 2016 I had saved a ton of extra money from blogging so I quit my job to blog full-time. So I decided it is finally time to keep my promise to myself and actually teach other people who want to start blogs how they can do that for themselves. >> JUST A HEADS UP: Today is the last day to get 30 Days to Blog Success my course that teaches how to start a blog, and my exact formula I use to make $10,000 per month blogging and because a few people asked I decided to extend my Valentines Day day offer of 50% off for one more day. A few times in this post I mention it because, I am super passionate about it and I want to help people not be confused like I was when I started my blog. This blog post gives some great guidance but not as much as I give in the video tutorials in my course. If you want to start the course before the 50% off expires and enrollment closes the code for 50% off is: LOVE50 and it makes the course only $25 you can click here to learn more. When I started my website I had no idea what I was doing but I knew that If I wanted to motivate myself to actually go to my computer and work on it everyday I was going to have to set goals. And I am so glad I did because each month these goals push me hard to engage and grow a community for my blog online. I set goals for what I am going to do with the money I think I will make, and I set goals for Pinterest, Twitter, Facebook, and Instagram. It was hard set goals about how much money I thought I could make in the beginning because I didn’t have anything to base it off of so keep that in mind when you are just getting started. Your goals will get more accurate as you get used to blogging. So when it comes to YOU and your website here is something to think about when setting your initial goals earning 1,000,000 a month when you have nothing to sell and no followers may be impossible, but earning a few hundred dollars or even a thousand is not. Write 1 Weekly Newsletter using MailChimp. Grow my Pinterest Following 500 a month. I remember seeing other bloggers income reports and realizing that there is no reason that they can do this and I can’t because they must have known nothing when they started too. Here I am now on the other side, making more more than the bloggers who wrote the income reports I used to read. All because I set goals and was determined to reach them. Do you want to start your own money making blog? Jump into blogging while it is cold outside! It is so much easier to start a blog when it’s winter and people spend more time at home, and using social media. I know starting a blog can be overwhelming, it seems like there is so much you need to know, and how are you suppose to know how to set everything up, and make sure you are getting the best deal on a starting a blog? Also how are you suppose to know how to design your blog and get traffic? So I figured the best way to answer all these questions would be to create a FREE ( did I mention it’s free?) 6 Day email course which will teach you step-by-step how to set up a blog, install your theme, make a logo, and create monetized content. It will completely kick-start your blogging success. I totally suggest taking it if you don’t already have a blog (or if you do already have a blog and want the advice) because I really want to help you get your dream job. Here is a more detailed guide of what we go over in it! Day 1: How to choose a name, and blog topics. Day 2: How to start a blog & install the design of your choice. Day 3: Planning out your content. Day 4: Monetizing your website as a beginner. Day 5: Increasing your website's traffic to make more money. Learn how to start a profitable blog from scratch in this FREE 6-day email course. Trust me, you won’t need any prior blogging knowledge. I realized quickly when I started blogging I couldn’t try and grow all my social medias at once because. So currently I focus on Pinterest and Instagram. Pinterest: because it is how you get the most traffic to your blog. Pinning often means the more often your followers are seeing content from your website. So I spend most of my time focusing on Pinterest. (you can click here to learn how I met my goal and got a lot of traffic from Pinterest). Instagram: because it is how I can best give you guys quick tips, answer questions, or just share my life and get to know you guys. Tailwind: Tailwind is a Pinterest scheduler I use daily. With Tailwind you can find new things to pin by using group boards called Tribes, or searching within Tailwind. By using Tailwind Tribes I have increased the amount of views I get on Pinterest monthly from 40,000 to upward of 1,000,000 views a month. Tailwind is amazing and has changed my life. If you want to find out more you can sign up for a free tailwind account here. Affiliate marketing is SOO important as a blogger. Not having or making enough money is so disappointing, especially when you so desperately want blogging to become your job like I did in the beginning. For months I was unhappy with my affiliate income. Now I currently make around $9,000 per month from affiliate marketing. After months of research I finally figured out a method of affiliate marketing that worked here are a few of the things I think are key. Knowing where to put affiliate links, and that you shouldn’t have more than 1-2 per blog post. Knowing where to find the best affiliate programs. Knowing how to drive traffic to your content with affiliate links in it. Knowing who your audience is. You can’t advertise $3,000 boots when your audience is full of women who only make $20,000/year. You can’t advertise Walmart products to women with Gucci taste. Knowing how to target your audience with what links you use. Knowing the best seasons to post certain types of affiliate links. If you want the specifics like where I put affiliate links, How I get traffic to my affiliate links, how I know what affiliate programs to use, and how I grew my affiliate income to $4,000+ per month I highly recommend taking my online course 30 Days to Blog Success which is currently available until February 16th at 11:59pm EST, before I take it down for a few months to help the people enroll start profitable blogs. Give you my day-by-day guide to figuring out affiliate marketing and making money blogging in 30 Days. Teach you where to put affiliate links. Teach you where to find the best affiliate programs. Teach you how to drive traffic to your content with affiliate links in it. Teach you how to learn who your audience is. Teach you how to find out if your audience wants $3,000 boots or $29.99 boots. Teach you how to target your audience with what links you use. Teach you the best times to post certain types of affiliate links. Did I mention that 30 Days to Blog Success is 50% off for Valentines Day just use the code >> LOVE50 click here to learn more about 30 Days to Blog Success. The rest of my money I make monthly through sponsored posts which I get by emailing companies I love and asking if they would like to work together. I dive into how to correctly email companies so they will actually respond in 30 Days to Blog Success, which you can get by clicking the button above! The money I make through sponsored posts is probably around $1,000 per month. I don’t currently offer services because my schedule is so variable lately but I know if you are reading this post you are probably interested in starting a blog, or maybe you have one and you probably want to make more money. So I wanted to include this to inspire you to do go above and beyond so you can make even more money blogging, than I do. I see food bloggers all the time and wonder why they don't offer services bring in more money. In 30 Days to Blog Success I suggest that food bloggers offer services like: online video cooking lessons, personal recipe creation, 30 minute meal cooking classes online, offering local prepared meal delivery in your area. (there are many more ideas for all kinds of bloggers in 30 Days to Blog Success, like ideas for mama bloggers, travel bloggers, fashion bloggers, DIY bloggers, and others!). Click here to learn more about 30 Days to Blog Success, don’t forget to use code LOVE50 for 50% off today for Valentines Day weekend (it makes it only $25). Expires: February 16th at 11:59pm EST. Blog Auditing: where I go do a 4+ page report of someones blog and tell them exactly how they can make money with their type of blog, what they should be doing to get more traffic, what images they can post to create more shares. Social Media Auditing: Where I create a complete a 4+ page complete review of bloggers social media to tell them, when they should be posting, what content they should be sharing more, what content they should be sharing less, what social media they should focus on growing next, what they can do to wok less on their social media. You don’t have to blog about a specific topic to make money blogging, I have made money blogging about food, budgeting, and traveling on a budget. Everyone has knowledge that someone else doesn't have and wants. The options are endless. Fashion bloggers could offer services helping their readers organize their clothes for that season, or for an event, or personal online shopping. There are so many ways to make money blogging with services. Advertisements are a great way to earn extra money blogging. However ads really take away from a blog when they are all over the place. When your reader clicks on an add they are taken away from your content to go buy something that isn’t making you any money. So sure you may earn $2 from every 1,000 people that see the ad, but you aren’t making the big bucks like the company running the ad is. You never want your main source of income to be driving people away from your website. This will only lower quality of relationships you can build with your readers. I recommend only having 1-3 advertisements on each page of your blog if you choose to have them. I have come to the conclusion that posting every single day will not make you money blogging. I wasted a lot of my time thinking that I needed to publish a post every day. The way you make money blogging is posting good content that is full of information and is actually giving something to your readers. I currently post about once a week, but If I don’t have anything good to post I just don’t post. In 30 Days to Blog Success I dive deeper into why posting too much is a bad for your blogging career, and how to make your blog posts better. Let your personality shine through, it is the only thing that sets you apart. People want to know about your old jobs, your kiddos, your husband and what makes you able to create content. Make sure you are always teaching. Sharing a story is what is going to build a personal connection, but teaching is what is going to make people believe in your value as a blogger. Believe what you are saying. If you are talking about products you don’t believe in just to make a dollar people will see it in your writing. Only talk about things you believe. Offer expires Tonight Saturday February 16th at 11:59PM EST. Blogging is something that is nearly impossible to figure out all on your own, without hours of research, months of work, and tons of confusion. I was confused for the first 3 weeks of running my blog. I was confused during those first 3 weeks despite spending 8+ hours a day researching blogging. I am so glad I figured it all out. Keeping notes and looking back at them often so I don’t make the same mistake twice. Using Pinterest looking at blogging tips and changes. Reading other bloggers books / courses. How to affiliate market like a six-figure blogger. What to day-to-day on social media and Pinterest in order to run a successful blog. How the heck bloggers become successful. What you need to do to increase your blog traffic. When it comes to branding what is important, and how to do it yourself for free. Then I highly recommend grabbing 30 Days, to Blog Success while it is on sale today. The reason I keep preaching 30 Days to Blog Success is because I have walked blogging alone and I know blogging is better with someone in your corner. 30 Days to Blog Success is a great resource that will teach you exactly how to start a profitable blog over the next month. Click here to buy it or learn even more about 30 Days to Blog Success. I see so many bloggers post about everything under the sun even though they really want to be a fashion blogger, or they really want to be a mommy blogger. To make money blogging you need to stay true to yourself. Talking about something you don't care about to get people to click affiliate links, or get more traffic makes your blog seem more unprofessional and boring. Talking about something you love makes it a lot easier to be dedicated to blogging. Being dedicated to blogging makes it a lot easier to make it a career. Day 6: Wrap up & Guide to follow for the future to maximize profit. If you liked this blog post save the image below to your Pinterest board so you can come back to it later, or so your friends who may be interested in blogging can also see it! I am your average girl, who spends as much time at Target as possible, loves getting her nails done, and would spend 364 days out of the year sitting by a pool in the Caribbean if possible. Oh, also this blog is my full-time job.